All relationships come with their fair share of complications, but when it comes to the Pfefferman family, things can quickly spiral into a full-on train wreck. 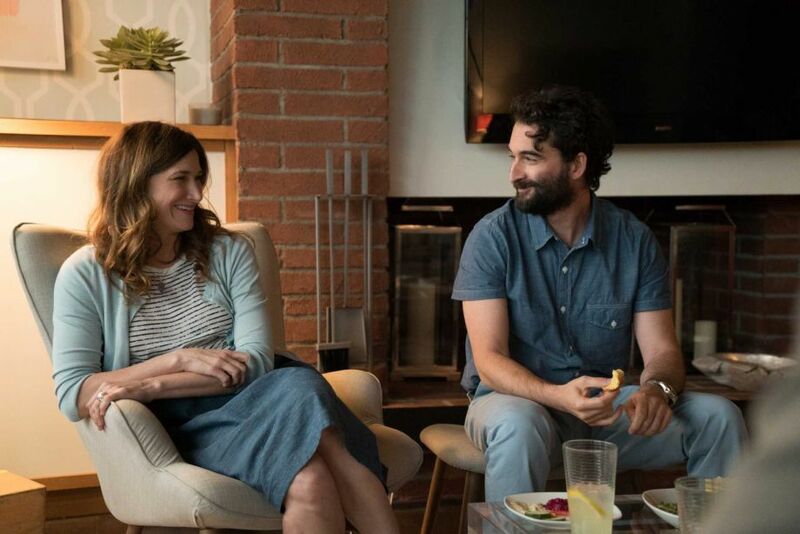 And, while I don't think Josh and Raquel's relationship has reached that point on Transparent , I'd say they may be on their way to heading in that direction of self destruction. And, it all pretty much boils down to one thing: Trust. They are having a hard time trusting each other, Raquel in particular. After hinting to Josh that she's still waiting for a ring to be put on her finger, Raquel decides to take matters into her own hands by getting down on one knee herself. That's right — Raquel proposed to Josh on Transparent . (Or at least she tried to, anyway.) And while I'm all for women becoming the proposers rather than the proposees, she was doing it for all the wrong reasons. You see, Raquel really did want Josh to ask her. She just didn't think that he would actually be motivated enough to do it. Which, fair enough, Josh hasn't exactly made the best decisions in life. However, the ironic thing was that he was actually taking the proposal very seriously. In fact, he even asked his colleagues how he should propose. He wanted it to be special, so you could immediately tell that it hurt his feelings to realize Raquel didn't trust him to see it through. I'll admit that I was never a big fan of Josh in Season 1. I found him to be pretty much a womanizer who never took responsibility for anything he does. But, right now it seems as though he's really trying to change and be the grown man he should've been all along. Between getting to know his son Colton and having another child on the way, Josh is trying to demonstrate that he's capable of more. He just needs Raquel to believe in him. That's not to say that I don't understand where she's coming from, though. Like her, I prefer being able to control things and check items off my To-Do list. So I probably would have a hard time leaving it in Josh's hands either, especially considering his less than stellar track record. But, if that really is the case and she can't look past the man he used to be, then this relationship might be doomed. (That almost proposal turned really awkward really fast.) Because if you don't have trust in a relationship, then really, what are you left with?